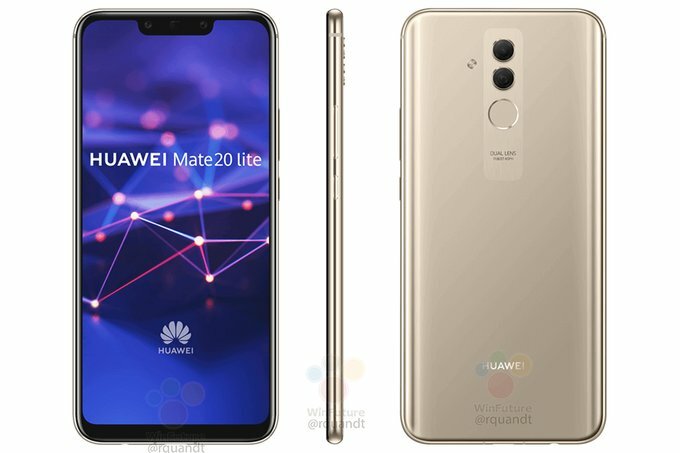 Huawei’s next flagship smartphone, the Mate 20, is expected later this year. In the meantime however, leaked images of the ‘Lite’ version of the flagship have appeared online. The phone appears to be quite similar to the Honor Nova 3i (much like how the current Huawei Mate 10 Lite is basically a re-branded Nova 2i) but with a different dual rear camera setup that is located in the middle instead of the top-left corner. The Mate 20 Lite images were leaked by tipster Roland Quandt, who claims that the phone will feature the same 6.3-inch Full HD+ notched display and mid-range Kirin 710 processor as the Nova 3i.